Healthy sleep is vitally important. People who sleep well fight disease more effectively and replenish their energy reserves overnight. In modern life we are exposed in our sleeping and living room areas to a multitude of radiation sources. These contributing factors are inside and outside the home. This radiation is invisible, but it affects our body functions in a significant way. There are a few things you can easily do yourself but for other more persistent sources of radiation you need to put radiation elimination or shielding products in place. Your Geovital consultant will guide you through this process by conducting a thorough assessment of your situation to investigate the causes where possible and developing a plan with appropriate products that suit your lifestyle and budget. The goal of bedroom assessments is to reveal sources of radiation, then develop a strategy to effectively protect you and your family against radiation. You are given concrete solutions which will enable you to obtain a healthier, more effective and restful sleep. Most people are exposed to radiation from internal wiring all night long. To combat the unrelenting assault of electronic pollution, we have available straight forward, verifiable shielding and elimination solutions. Your Geovital consultant will gladly tell you about the materials suitable for your situation and how to use them correctly. While many manufacturers and service providers can only relate to lab test reports, we at Geovital Academy know what actually works to support your health in a practical sense and we only work with measurable and verifiable solutions! A lot more is involved than just taking some measurements! For your bedroom assessment, please plan for a time frame of 2 to 3 hours. During this time we will explain what we do during an assessment. Your assistance will be required during some of the investigation of radiation sources and you will even be able to take some measurements yourself. At the end of the assessment your consultant will sit down with you, summarise the findings and when required, recommend a suitable approach. At this time if you like, you will be able to order needed products from your consultant. What is normally included in a Geovital radiation assessment? Every house reveals different issues and encourages a creative approach. A Geovital assessment would normally include the following but this may be expanded upon. 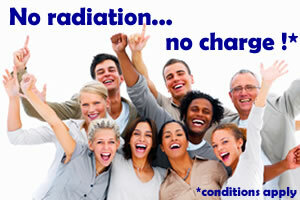 How much better would you feel without high frequency radiation exposure in bed? 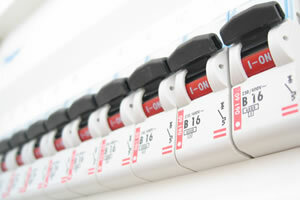 Which circuits are responsible for radiation exposure in your home and bedrooms? We give you some pointers on how to reduce radiation exposure in a home office if you have one. Measurement of Geopathic Stress in the bedroom: This is far more impressive when the consultant doesn’t know where you sleep or what health issues you are bothered by. So, elaborate on your health issues, if you wish… when the assessment is completed. During the assessment a Geovital measurement protocol (report) will be filled in and left with you for future reference at the conclusion. At the end of the assessment, findings will be summarised. If needed, an approach will be suggested to deal with issues found in a verifiable way. And if you wish, you can order the required products from your consultant. It will be an eye-opening experience that both you and your significant other, if you have one, should both be present to witness. Don’t put it off. The cost of an assessment is very reasonable considering the time involved. So, contact a Geovital consultant or your local Geovital Academy office today to have your home investigated and updated!